Home Nefetiti Why US Attack On FIFA? Why US Attack On FIFA? News spread wildly across the globe about the sudden US attack on FIFA, the world’s football governing body. US officials claimed to have been conducting an investigation “that itself took years” on the organization and have now brought corruption charges against many FIFA personnel. Among residents of many countries, no matter the region of the world, sentiments about the scandal are markedly similar. Many are skeptical about US involvement in FIFA business. No stranger to global competition, the US has participated in the World Cup since the international tournament was founded in 1930. And in that very first tournament when only 13 countries participated, the US had its best showing, with a third place finish. Since then, the US team failed to qualify for 9 World Cups, was knocked out early in rounds 1 or 2 in 8 tournaments, and only reached the quarterfinal once in 2002–finishing 8th out of 8 teams that competed in the quarterfinal. Needless to say, the US has shown little interest in the sport in which it holds no prowess in the world. All of these components leave no room for coincidence. Rightly, observers raise questions about what interests the US, a nation that has shown such little interest in football, has in taking FIFA down. What motivations lie behind the investigation? FBI Director James Comey set international anti-bribery as the primary reason for action. “If you touch our shores with your corrupt enterprise, whether that is through meetings or through using our world class financial system, you will be held accountable for that corruption,” he said. US officials make the case that FIFA’s corruption has a connection to the US, if only a minor one. The marketing and media rights to the World Cup and other tournaments along with meetings held and money transferred have touched US lands. Under these grounds, US officials believe they are exercising their rights to keep bribes out of their country. However, the jury is split as to what prompted the US attack on FIFA management. One theory is that US football associations are angered over losing the bid to host the 2022 World Cup to Qatar. With previous World Cups having been held in Germany (2006), South Africa (2010), and most recently Brazil (2014) and the next World Cup to be held in Russia (2018), the US hasn’t held a World Cup since 1994 in California. Perchance, US capitalists are licking their wounds over profits hoped for but not materialized over the past years. 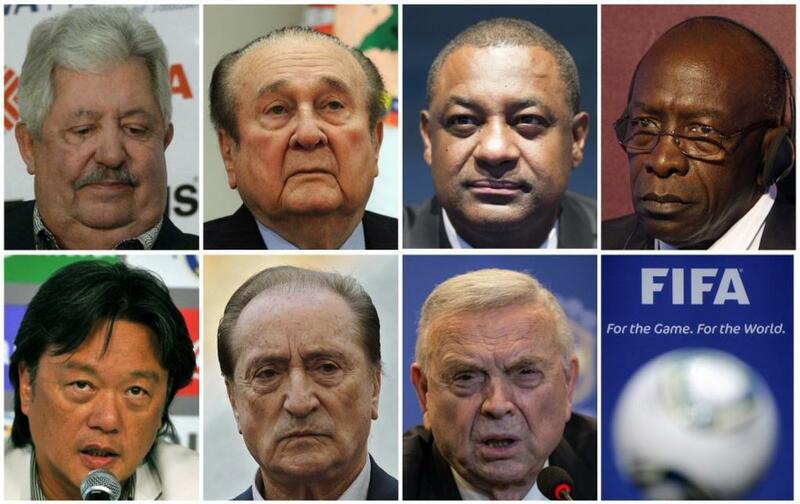 Several FIFA personnel are under investigation for corruption charges brought on by US officials. Though it is uncertain why the US would expect the World Cup to return so soon. The only other North American country to have hosted the World Cup, Mexico, has not been the tournament center since 1986. Canada has never hosted the tournament, nor has any nation in the Central American region besides Mexico. Some conspiracy theorists believe US officials might have caused a kerfuffle with FIFA to force another bid for the 2018 and 2022 World Cups in the hopes of usurping a host country. Another theory is that the US is somehow involved in its own football scandal, which likely FIFA has recently discovered, and so is throwing the scent off its own trail with these corruption charges. The US managed a narrow escape from the group stage of the 2014 World Cup only after Ghanaian team coaches failed to start key veteran players, including the goalkeeper, in the match. If Ghanian coaches were paid off by US officials and this information were to come to light now, just a year after the scandal, the US could face harsh repercussions that could divorce it from international play for a lengthy period. Does the US attack on FIFA mean that Switzerland is no longer neutral? 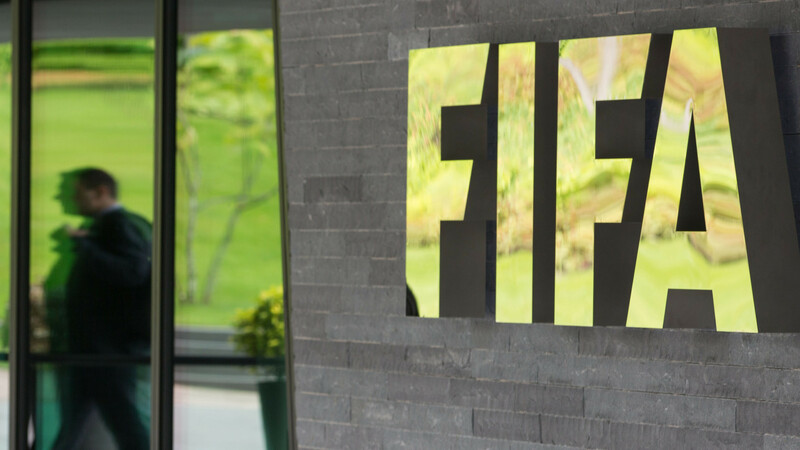 Swiss police arrested seven FIFA personnel with alleged involvement in corruption. Is it safe to say that the Swiss, who for so long have maintained their neutrality in world matters, are no longer sitting on the fence? Siding with the US on the FIFA matter, Switzerland has, at least for now, shown its hand in alignment with its Western ally. Although the lines for who sets the law in a global terrain are quite blurry, it appears that the US is determined to become “the law” and establish “the way things should be” for us all, even in a sport where the country had demonstrated little interest and flexes no muscle. Switzerland seems to have taken US officials’ insistence to enforce a yet to be determined global code of legality at face value. The question remains, will the rest of the world, both within the sporting world and beyond, do the same? Without going into the details of the proposed charges, we would turn attention to the fact that this is another case of illegal extraterritorial application of US laws. We hope that this will in no way be used to tarnish the international football organization in general and its decisions, including personnel. Once again, we urge Washington to stop trying to administer justice far beyond its borders under its legal regulations and to follow the generally accepted international legal procedures. In this instance, the expanding U.S. and Swiss investigations into FIFA hit rather close to home for Russia. Russia is set to host the 2018 World Cup, which the US claims it was awarded in controversial circumstances alongside Qatar’s 2022 bid. The bidding for these tournaments are now apparently the subject of US federal scrutiny, and there are even suggestions (perhaps more wishful than real) that subsequent revelations could lead to the tournaments’ relocation. This dovetails an ongoing diplomatic feud between Russia and the West over the 2018 World Cup. Since Russia’s annexation of Crimea last year, and continued meddling in eastern Ukraine, there’s been a growing chorus of European officials calling for either a boycott of the tournament or for FIFA to reconsider its choice of Russia altogether. I don’t see how that two are related. But it’s a thought. FBI Director Comey is handicapped. Half of his brain must be filled completely with water. guilty. Why are we putting these guys in jail and not the banksters? Maybe FIFA hasn’t learned the fine art of campaign donations.